After two years of uncertainty and confusion over skyrocketing flood insurance premiums, lower flood insurance rates can be celebrated by Florida homeowners. Friday, March 21, 2014, President Barack Obama signed the, Homeowner Flood Insurance Affordability Act. The passage of this bill will reinstate grandfathered rates, cap premium increases and reform the FEMA flood mapping process for those living in coastal areas. Outrage by Florida homeowners reached its peak in 2012, when lawmakers made moves to reform the National Flood Insurance Program with the passage of the Biggert-Waters Flood Insurance Reform Act. The new law was put into place to help the federal government reduce the $24 billion deficit from Hurricane Katrina. As a result, it ended subsidized and grandfathered premiums. Coastal area property owners faced exorbitant insurance rate increases. The legislation was an effort to repair the National Flood Insurance Program but passage made rate hikes too high, threatening Florida’s real estate market. Potential home buyers were scared off by the rate hikes to flood insurance. The Biggert-Waters Act raised rates for owners of older properties in flood zones that were built before flood maps went into effect and have been subsidized with lower rates. Some homeowners watched their annual flood insurance premiums go from hundreds to more than $14,000. The Homeowner Flood Insurance Affordability Act will scale back flood insurance premium increases. It will also allow low market insurance rates to be passed on to people buying homes in flood zones with taxpayer subsidized policies. Those who began paying the increases will get rebates as well as a return to their previous rates. The Homeowner Flood Insurance Affordability Act caps average annual premium increase to 18 percent a year. Homeowners with a secondary property in a flood zone as well as those who have experienced repeated flooding will continue to see their premiums rise by 25 percent a year until reaching a level consistent with their risk of flooding. “Florida homeowner insurance does not cover damage caused by a flood. Federal disaster assistance is only offered when the president declares a major disaster, which only happens half of the time. Flood insurance is available to protect homes and businesses through the National Flood Insurance Program,” says Buck. Florida lawmakers are currently working on legislation to entice private insurance companies to sell flood policies in Florida. 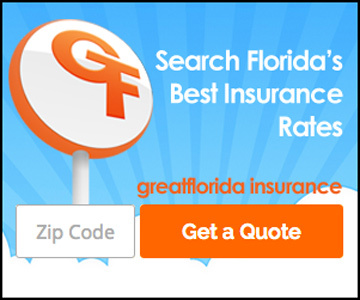 For more questions regarding homeowners insurance contact GreatFlorida Insurance at 888-478-7801 to speak with an agent or visit our website at www.greatflorida.com.